Translator John Nathan introduces four short novels with an intriguing description of the 1964 Christmas Eve party at Yukio Mishima’s home where Nathan first met Oe and fellow novelist Kobo Abe. 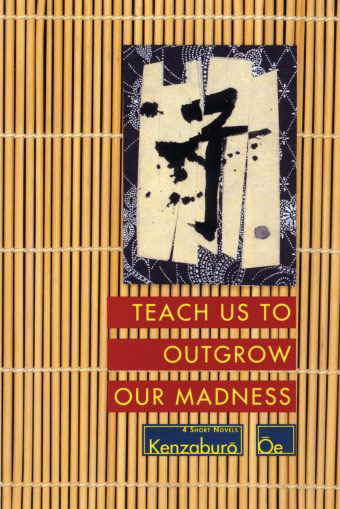 Teach Us to Outgrow Our Madness, by Kenzaburo Oe, Translated by John Nathan. The creative tension between those three authors is apparent in the longest novel here, “The Day He Himself Shall Wipe My Tears Away.” Written in an oblique, surrealist style reminiscent of Abe, the subject matter is intensely Mishima-esque, reflecting on the final days of the World War II and the trauma of having his belief in the Emperor’s divinity shattered by hearing his all-too-human voice announce defeat. But this collection reflects upon the complexities of the father-son relationship in ways unique to Oe. A repeated theme in Oe’s fiction is his attempt to make sense of the convictions and actions — often observed through children’s eyes — of the wartime generation, particularly his own father. The author muses on coping with the overwhelming distress — experienced by Oe himself — of having a child born severely disabled. In one story, the father thinks of himself as the child’s medium of communication to the world; in another, the father has murdered his disabled baby and is haunted by its gigantic ghost. 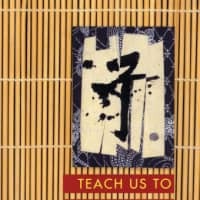 Oe has written elsewhere of the lingering national traumas of Hiroshima and Nagasaki, but here it is the lifelong sense of obsession and profound sense of guilt engendered within his own familial history that finds acute literary expression.